Decided to start a thread dedicated to the Spanish speaking cyclists. And I'm not talking about Spaniards. Basically about the racing that happens in the region of South America. Colombia, Venezuela, etc. It may be the off season over in Europe, but they're having some races in South America right now. To start off, the Vuelta a Costa Rica's on the 16th of this month. vuelta costa rica will feature 3x!!! cerro de la muerte 3451 meters!! 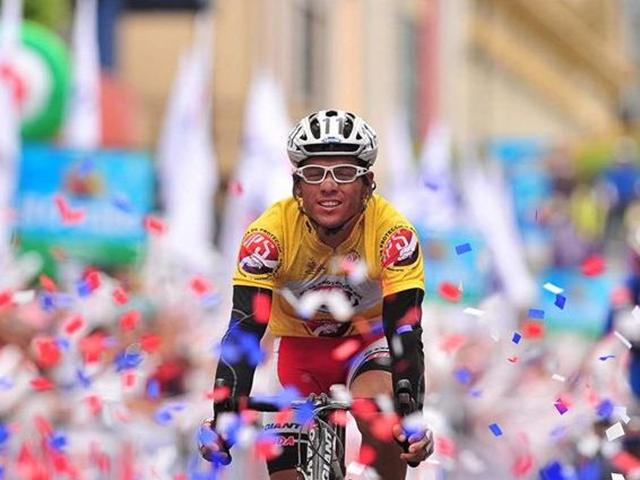 Did anybody else here follow la Vuelta a Chiriqui? yeah I followed it a bit. won by carretero incredibel talent from panama going to movistar next year. he is an amazing itt prospect also internationally I think. Ryo Hazuki wrote: yeah I followed it a bit. won by carretero incredibel talent from panama going to movistar next year. he is an amazing itt prospect also internationally I think. Yeah. He had a great team behind him. He carried the lead in all but one stage if I'm not mistaken. One hell of a TT position that he has as well. 1. [AUS] DURBRIDGE Luke	JAI	42'47"
55. [PAN] CARRETERO MARCIAQ Ramon	-	04'42"
I'd say different level in his circuit of racing. But still a great time trialist. And although he's a year older than Durbridge, there's still room for much more improvement. I can see him improving as a rider during his time with Movistar. And yeah, he's a third generation cyclist. I think his dad and grandfather are also named Ramon. always funny when the uninformed and unknowing try to mengle in a discussion they have no idea about. you have some sort of obesseion with me don't you? 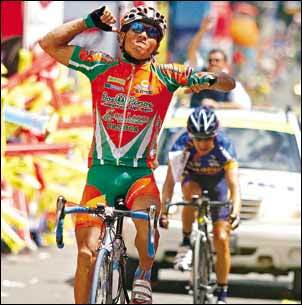 Vuelta Chile 2012 start next year on January 5th. Here you can take a look at the stages. This weekend the last Chilean qualification races are held. Seven of ten foreign teams are already known: GW Shimano, Jamis Sutter Home, Clube Dataro de Ciclismo Foz do Iguaçu, Nacionales Uruguay and Argentina, Team Nippo, Caja Andalucía and KTM - Gebrüder Weiss. Eric8-A wrote: I'd say different level in his circuit of racing. But still a great time trialist. And although he's a year older than Durbridge, there's still room for much more improvement. I can see him improving as a rider during his time with Movistar. Lupetto wrote: Vuelta Chile 2012 start next year on January 5th. Here you can take a look at the stages. Ryo Hazuki wrote: always funny when the uninformed and unknowing try to mengle in a discussion they have no idea about. you have some sort of obesseion with me don't you? I was actually interested based on your hype of the guy, but it turns out to be slightly overdone, as always. Ryo talks about Latin American rider --> show interest but with a grain of salt. It's also a relative thing; if a guy has good technique and position, but because of the Central American calendar is often only doing short-to-mid-length ITTs, then giving him a chance to move up and access to better coaching could improve him greatly. There's potential there. Durbridge comes from a very strong track program in Australia, so he has already had access to some of the very best coaching in the game. Plus, you have where the Worlds fall in the calendar relative to the European calendar vs. where they fall in the Latin American cycling calendar, and anything else (injuries, mechanicals) that we simply won't know about since Carretero never featured on our screens. The problem is the sample size of representative performances we have of Carretero vs. anybody major that we can use as a reference point is very small, and thus it is difficult to predict his actual talent level. Much like talking up Igor Antón but only being able to look at his results from the first half of 2009, when he was just getting over a severe injury. If you know that is usually the case why constantly deride him about it? We can appreciate the enthusiasm and depth of info regarding the cycling scene in South America that he and others bring. If some of the statements are overdone, so what? Just take the good with the bad. Hopefully we all can do the same including myself. I'm trying to be more civil in my posts. That's what I thought too. But in that ITT, Carretero actually looked very well (I was at the course). And if I'm not badly mistaken, he was the rider who had his ITT bars break halfway through, leading to a very awkward position. For once, I agree with Ryo: He is a good ITT talent. Fus087 wrote: That's what I thought too. But in that ITT, Carretero actually looked very well (I was at the course).